After couple minutes of googling I found this article which solved problem. 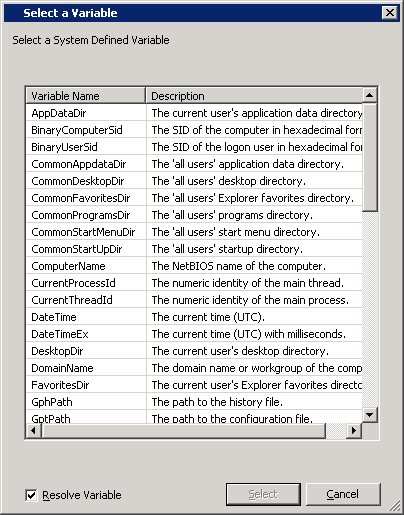 IMHO when computer was demoted from domain controller role it created local SAM database and didn’t use domain created accounts IUSR_ComputerName and IWAM_ComputerName. 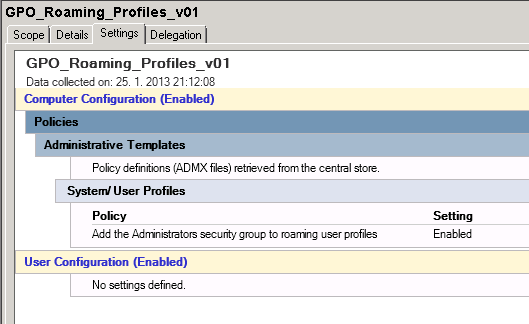 When administrators implement Roaming Profiles they define folder where roaming profile should be stored on fileserver. 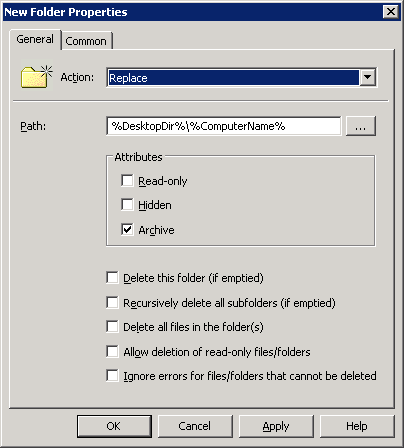 By default file permissions for the newly generated profile are full control for the user, full control to SYSTEM and no file access for the administrators group. You can not access this profiles with administrator account and clean it up. First you had to take ownership and then you can change ACL, but this is not what you want, because owner should be user. I just found info at Microsoft. To make administrators life easier in future, we have created DFS Shares in domain SK.DOMAIN.LOCAL. One of those DFS shares is called “Common”. 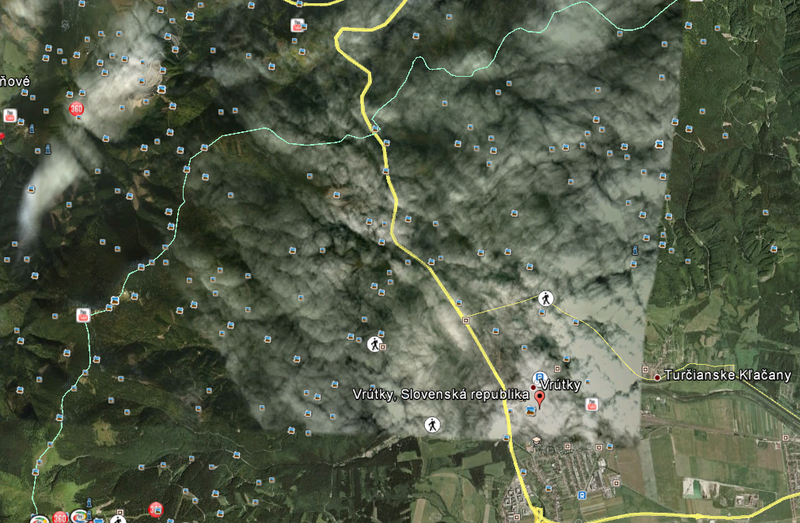 So people in Slovakia were accessing DFS share \\\\SK.DOMAIN.LOCAL\\Common and share data. 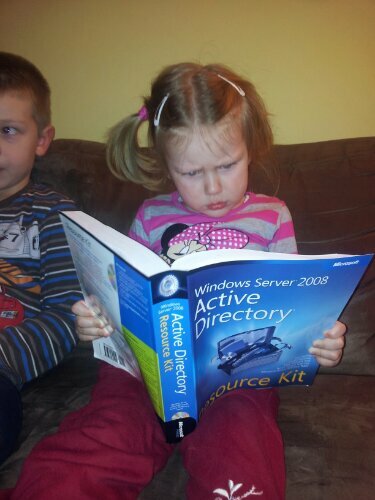 Under this DFS Namespace following share was hidden \\\\FSSERVER\\Common. There were no firewalls between two domains. All ports were accessible. I decided to force DFS to propagate FQDN as refferals. It’s made by change in registry keys for DFS service. More about it is at http://support.microsoft.com/kb/244380/en-us. One more important thing is that you need to remove and re-add refferal servers from DFS Namespaces. I used DFS console because I didn’t use DFS Replication. If you do use DFS Replication it’s recommended to do it using cmd line (dfscmd.exe). This account has full access to local computer. It can access network resources with rights (account) of the computer. This account has full access to domain it self when used on Domain Controller. This account has same right as local Users group. It goes to network as annonymous user (null session). It’s almost same as LOCAL SERVICE. Only difference is that it uses computer account to access network resources. I always was wondering if there is any way to determine all DNS records NetLogon service registers in DNS server. This record list is located at %systemroot%\\system32\\config\\netlogon.dns. _ldap._tcp.domain.local. 600 IN SRV 0 100 389 SERVER-DC1.domain.local. _ldap._tcp.Site1._sites.domain.local. 600 IN SRV 0 100 389 SERVER-DC1.domain.local. _ldap._tcp.gc._msdcs.domain.local. 600 IN SRV 0 100 3268 SERVER-DC1.domain.local. _ldap._tcp.Site1._sites.gc._msdcs.domain.local. 600 IN SRV 0 100 3268 SERVER-DC1.domain.local. _ldap._tcp.cb30fef3-1c01-46c1-951a-5dec33f85833.domains._msdcs.domain.local. 600 IN SRV 0 100 389 SERVER-DC1.domain.local. bcb148b0-c836-4847-bd55-3d3991821f76._msdcs.domain.local. 600 IN CNAME SERVER-DC1.domain.local. _ldap._tcp.dc._msdcs.domain.local. 600 IN SRV 0 100 389 SERVER-DC1.domain.local. _ldap._tcp.Site1._sites.dc._msdcs.domain.local. 600 IN SRV 0 100 389 SERVER-DC1.domain.local. _gc._tcp.domain.local. 600 IN SRV 0 100 3268 SERVER-DC1.domain.local. _gc._tcp.Site1._sites.domain.local. 600 IN SRV 0 100 3268 SERVER-DC1.domain.local. _ldap._tcp.ForestDnsZones.domain.local. 600 IN SRV 0 100 389 SERVER-DC1.domain.local. _ldap._tcp.Site1._sites.ForestDnsZones.domain.local. 600 IN SRV 0 100 389 SERVER-DC1.domain.local. _ldap._tcp.DomainDnsZones.domain.local. 600 IN SRV 0 100 389 SERVER-DC1.domain.local. _ldap._tcp.Site1._sites.DomainDnsZones.domain.local. 600 IN SRV 0 100 389 SERVER-DC1.domain.local. _ldap._tcp.pdc._msdcs.domain.local. 600 IN SRV 0 100 389 SERVER-DC1.domain.local. _kerberos._tcp.dc._msdcs.domain.local. 600 IN SRV 0 100 88 SERVER-DC1.domain.local. _kerberos._tcp.Site1._sites.dc._msdcs.domain.local. 600 IN SRV 0 100 88 SERVER-DC1.domain.local. _kerberos._tcp.domain.local. 600 IN SRV 0 100 88 SERVER-DC1.domain.local. _kerberos._tcp.Site1._sites.domain.local. 600 IN SRV 0 100 88 SERVER-DC1.domain.local. _kerberos._udp.domain.local. 600 IN SRV 0 100 88 SERVER-DC1.domain.local. _kpasswd._tcp.domain.local. 600 IN SRV 0 100 464 SERVER-DC1.domain.local. _kpasswd._udp.domain.local. 600 IN SRV 0 100 464 SERVER-DC1.domain.local. This list can be used to import all required DNS records into DNS servers that don’t support dynamic updates. Also ipconfig cannot be run on remote machine without using other utility (for example psexec).